For a superb exterminator in Gresham, talk to The Killers. We’ve been helping Gresham residents remain pest free for over 30 years. In that time we’ve become a staple in the community, and are proud to perform our very best work every day in order to keep our beloved city pest free. With incredible exterminators on staff, we’ve made it our mission to wipe out pests wherever they are. There’s no complex too large and no pest too elusive to escape our exterminators! With experience providing complete pest extermination in both residential and commercial properties, we keep you pest free at work and home. 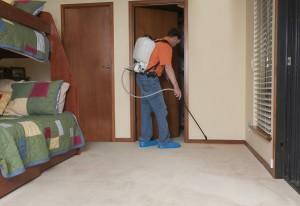 This involves a keen eye for pests and the knowledge to determine exactly what is causing an infestation. Determining a cause isn’t enough for our exterminators though. When you call on one our skilled exterminators, you get results. We know that an infestation doesn’t happen overnight, and if creature entry points and causes aren’t addressed, they are almost guaranteed to recur. 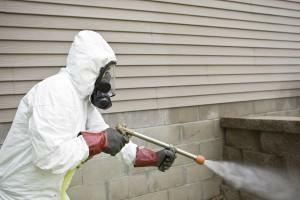 We also believe an informed property owner is one who can protect themselves from pests. That’s why an exterminator should talk to you about pest control, and ours always do. We want you to be aware of our determination and results. We want you to be involved in the process, and most of all, we want you to know how to proceed and what your options are. After careful inspection and diagnosis, we sit down with you and go over all of our findings. How we proceed is always up to you, but you’ll be presented with our professional opinion in full. This includes our extermination recommendations. We always aim to provide complete pest relief. That doesn’t mean working with pests, that means complete eradication. Our exterminator considers every factor before presenting you with a carefully constructed pest elimination plan that’s tailored to you. We consider children, pets, property size, infestation degree, and much more. This is so you get a customized solution for efficiency and completeness. Call (503) 777-3141 or contact us today for the exterminator that Gresham knows and trusts! Located just outside of Portland, Gresham is a perfect sleeper city for those who commute everyday to their larger neighbor. With a number of local parks and excellent school system, Gresham is a great place to call home. Gresham library is home to a number of great events and classes. These include children’s story time and a number of activity specific clubs for all ages. Those looking for some local flair shouldn’t miss the Chowder Challenge. Hosted by local Lompoc Brewery, it challenges local restaurants to prove who has the best chowder in Gresham. In it’s 9th year it doesn’t appear to be going anywhere. Anyone after some more cultural affair shouldn’t miss the African Film Festival. Albany, Beaverton, Canby, Clackamas, Corvallis, Lake Oswego, Lincoln City, McMinnville, Milwaukie, Newberg, Newport, Oregon City, Portland, Salem, Sherwood, Tualatin, Vancouver WA, West Linn, Wilsonville, Woodburn and more!